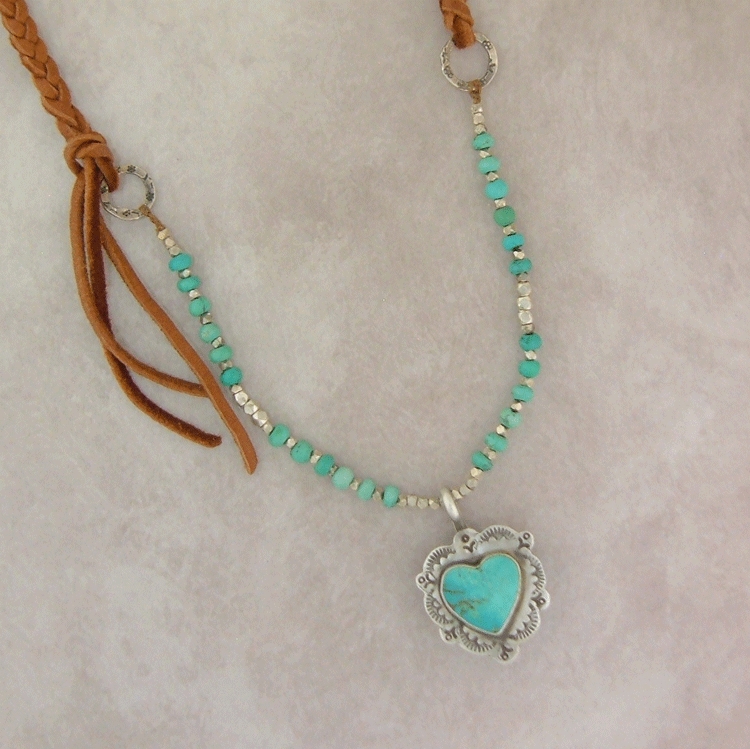 A mix of buttersoft leather with turquoise and silver beads makes this a desirable and versatile must have necklace. Wait to see what it can do. 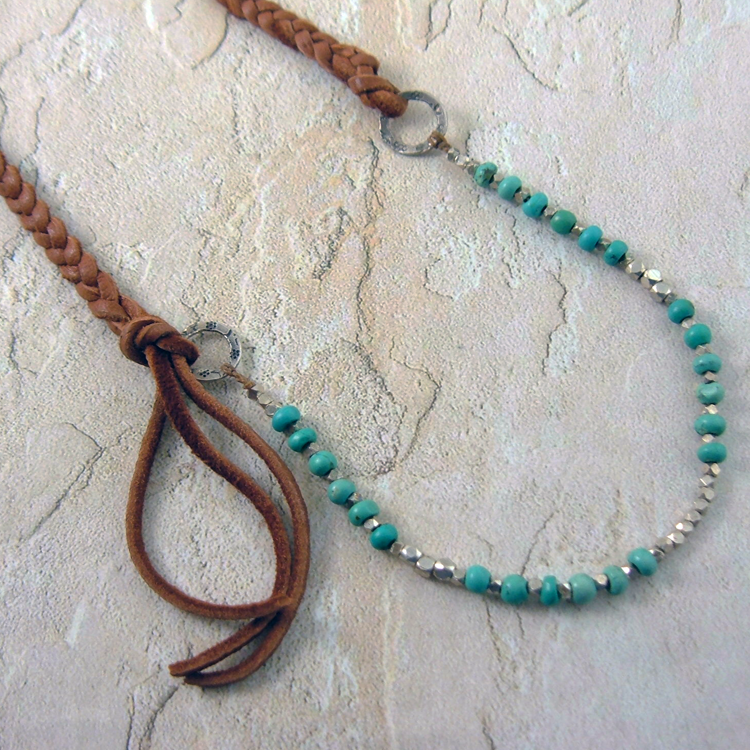 Soft deerskin leather, natural turquoise beads strung with silver makes this necklace a stand alone piece. 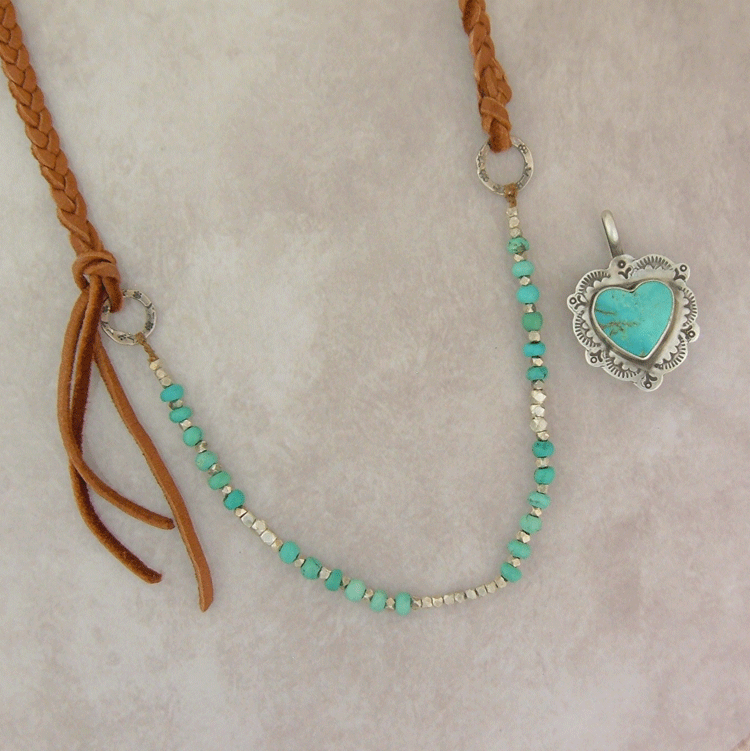 The real job of this necklace is to hang your pendant. 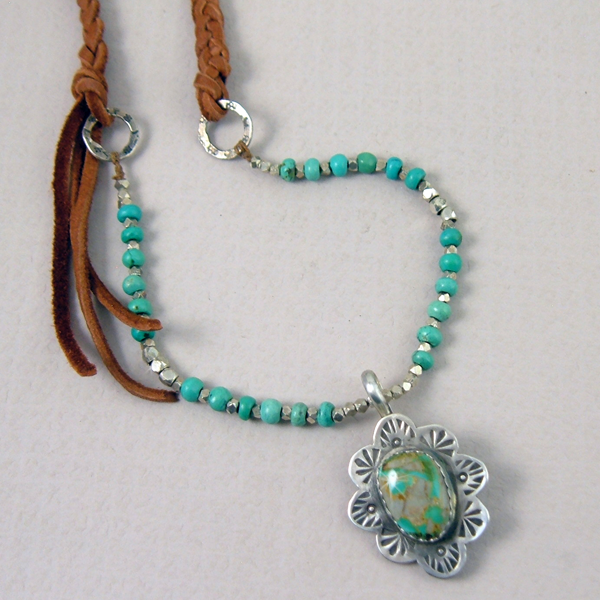 It's beautiful, not large, bulky or heavy and it looks great on it's own as well. 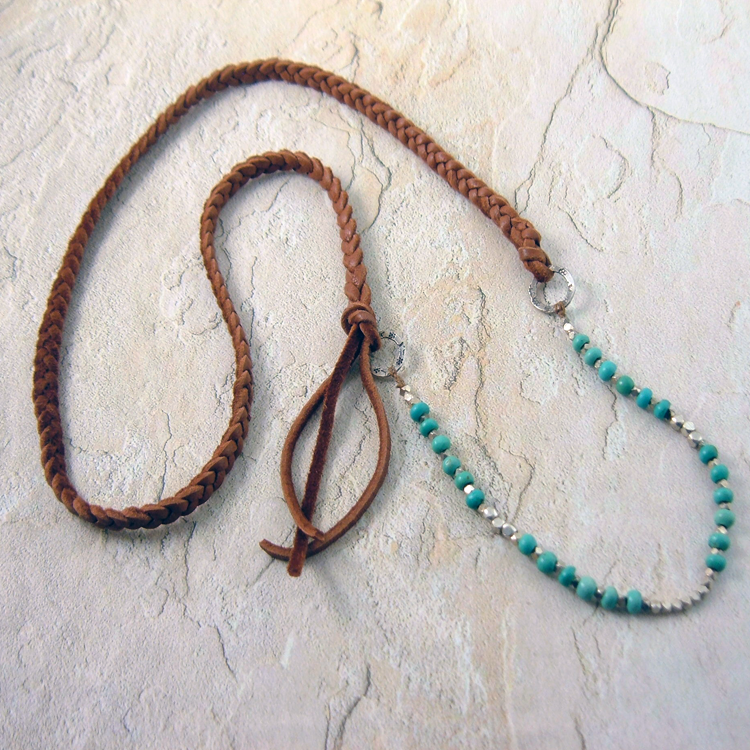 This buttersoft braided leather necklace is 30" long. The stamped rings are handcrafted using 99.9% fine silver.